The Jomac Show is a 2 part radio series about the history of the voluntary entertainment and variety group – Jomac. 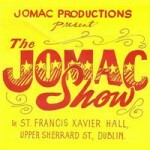 Since 1953 the Jomac show has being entertaining thousands of Dubliners across the City. For more than 60 years this group of volunteers has been entertaining young and old alike across the city in hospitals, old people’s homes and orphanages. The Jomac Show brought light relief to its audiences and through the years has featured singers, dancers, musicians, comedians and magicians. Among its alumni down through the years have been entertainers such as the Brannigans, Butch Moore, Joe Cuddy, the Bachelors and Noel V Ginnity. In programme 2 we meet join the audience for the end of season show in Sybil Nursing Home, Killester. We meet performers Muriel Casey. Kevin Masterson and Mike Stevens and many of the audience. We also hear from Joe Cuddy and Jim Synott as well as Dec Cluskey from The Bachelors, who share their memories of the Jomac experience. The series is devised and produced by Beaumont resident, Joe O’Connor, a former member and leader with St Francis Xavier Boys Club and his son, Nearfm volunteer Dave O’Connor, with the assistance of the Sound & Vision Fund, a BAI initiative. 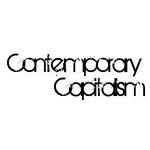 NEXT Next post: Contemporary Capitalism Part 1: Welfare to Debtfare.